Prepare the ground paste adding little water. Heat oil in pressure cooker and temper mustard seeds. Add curry leaves and saute a while. Add chopped brinjal and drumstick. Fry for 2 mins. Add ground paste, tamarind water and salt to taste. Add turmeric powder and close the lid. Add more water water if needed. Pressure cook for 2-3 whistles and remove from the heat. Serve hot with steamed rice. 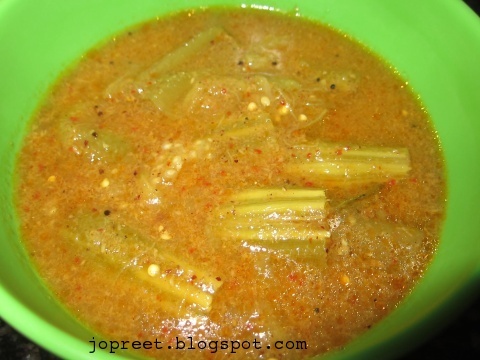 This is new to me…Love this sambhar and drumstick brinjal sambhar is my fav one…will try this way..
looks yummy..will try this for auspicious occasion to avoid onions:)..
My favourite..I love sambar with any veggie.. I know it is very tasty sambar. Nice looks dear.